I have lived the last 11 years in the same city. Though not the place of my birth, it is the place where I went through the awkward pre-teen days, suffered through high school, attended a local private college, met the love of my life and grew very attached to this sleepy little Ohio town in the process. This week we are moving to a new city... we bought a house and are putting down some new roots. While it is exciting and a whole new adventure, the pang of loss is more than I expected as I say goodbye to my hometown. At first I hated this place. When I moved here 11 years ago, I was determined that I would never learn to like it and leave as soon as I could. As time wore on, I began to think of it as my true home and understood that even a quiet, flat Ohio town had some hidden gems. I learned that Dietsch Brothers has the best chocolate and ice cream in the world. I found out the best cookies ever hail only from Bread Kneads. Georgehouse truly has the best coffee around and is the best study location for a struggling college student. Main Street Deli has the best sandwiches in town and is the perfect stop for lunch. Logans is my favorite restaurant and it is almost like being in a real Irish pub though I am stuck in the Ohio cornfields. The reservoir has the best views in town. Nino's is basically the only bar you will visit as a college student and it may be a small hole in the wall but it is rather fun. It was not until I truly was buying a house in another city and packing my things that I realized I was leaving this place that had truly become my home. I did not go away to college so this is the first time I have ever truly "left" since I arrived as an eleven-year-old girl. I was not expecting it to be so hard or so bittersweet... I did not realize how much this town has become a part of me. I have learned to love it's quietness and the overall quality of the people who live here. Even when Black Friday shopping people are nice and thoughtful. It is such a warm and happy place and I know that it is something I took for granted while I lived here and will miss when I am gone. 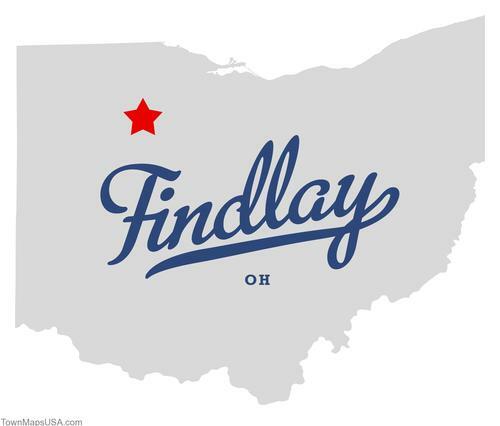 No matter where I go or where I end up, I am thankful to have grown up in Findlay, OH. This little town I once loathed became the home I hate to leave and I am thankful to have grown up in such a wonderful place. I may be moving away and learning a new zip code but I know that the University of Findlay Alumni sticker will always live on my car, Dietsch chocolate will always be my favorite and Findlay will always be considered home.